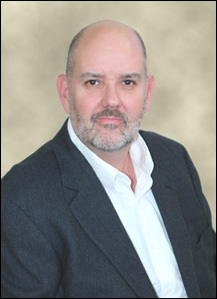 August 15, 2017 – Norristown, PA – LCR Embedded Systems is pleased to announce the appointment of David Freeman, former National Sales Manager, as Director of Mission Assurance. Freeman will report directly to LCR Embedded Systems President David Pearson. In his new role, Freeman will lead the company’s efforts in providing world-class products and technology solutions that meet the challenging development schedules and quality metrics of key customers including the Department of Defense, and Tier One and Two Defense Primes. Freeman began working with LCR Embedded Systems in 2004 and currently has 35 years of experience in electromechanical aerospace products. As Eastern Regional Sales Manager, he grew the company’s East Coast customer base significantly in addition to growing relationships with many of LCR Embedded’s largest customers. He is in many ways the face of LCR Embedded Systems with Tier One and Two defense contractors, national labs and research entities, and government organizations like SOCOM and NAVAIR.